Every reputable company should understand the importance of company culture. The way you communicate your company’s values, vision, belief system, habits, and employee treatment mirrors your company’s culture and captures the essence of your business. 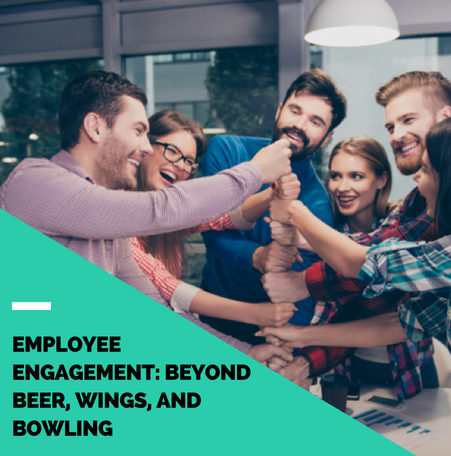 In today’s competitive marketplace, employee engagement has emerged as a critical factor for business success, and is observed as a direct result of the company’s core culture, i.e., its attitude towards the employees it hires. The employee equation of your workplace is simple: if your employees aren’t happy, your business will suffer. Organizing team building activities like a karaoke night, wings, beer, or poker tournaments generally sounds fun, but they don’t cut it anymore. These days, we have a highly disengaged workforce because people aren’t satisfied. They need to feel like their work is valued and that they are a part of a team they can trust and rely on. A sense of security plays a huge role. No one wants to feel threatened for communicating their thoughts differently than others, asking for their rightfully-earned benefits, or feeling ridiculed for having a different approach to work than their colleagues. Soft skills are taking dominance in the workplace, and smart leaders are embracing tolerance, inclusion, and understanding as their core leadership mottos. Airbnb has managed to create a fantastic company culture due to its unrelenting belief in honest, two-way communication. As one of the owners, Levy, explained, “our rule of thumb is that nobody should hear about anything externally until we’ve told them internally.” The company organizes bi-weekly world meetings outside of San Francisco and joins everyone on a live stream. The modern office should no longer cultivate nor encourage the climate of employee fear, dissatisfaction, and frustration. Like Bill Gates put it, “...leaders will be those who empower others.” No matter how fun a workplace you build, if your people don’t feel like a part of your business structure or aren’t comfortable around people they work with, they’ll create cliques that will further lead to the deterioration of your office structure. Introducing mindfulness, awareness, and understanding in the workplace before organizing a joint field trip to the nearby amusement park could be the way to go. In the words of Josh Bersin, “the days of the annual engagement survey are slowly coming to an end, to be replaced by a much more holistic, integrated, and real-time approach to measuring and driving high levels of employee commitment and passion.” Hopefully, things are gradually moving towards understanding the importance of employee happiness and working to build a supportive environment that will make them feel safe and wanted. Titles do matter, but do they matter more than the employees themselves? 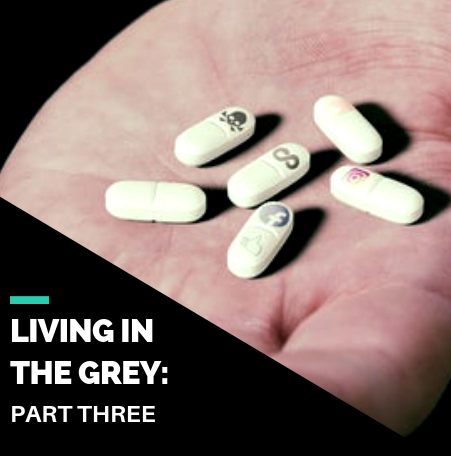 It is not uncommon for the title-chasing enthusiasts to climb up the corporate ladder faster than the others, leaving “the less enthusiastic” employees behind and, in doing so, creating a very uncomfortable work environment. Big companies might want to consider eliminating official titles to encourage their unlimited creativity and commitment. "The minute people start talking about job titles, or are more interested in equity over changing the world through connecting people …, we know that they are probably barking up the wrong tree," said Levy of Airbnb. The founder of Apple, Steve Jobs, created a culture of fandom, turning it into possibly the best employment strategy ever. Honestly, who would make a better employee for your company than an admiring fan? Add company discounts, gifts and other company-related goodies handed out to the employees for free, and you get a group of enthusiastic and encouraged employees who are over the moon to come to work. At Virgin Group, Sir Richard Branson encourages an atmosphere of positivity and employee encouragement: “I have always believed that the way you treat your employees is the way they will treat your customers and that people flourish when they are praised.” Apple also focuses on their employees’ contribution (i.e., the number of projects they’ve worked on) rather than the longevity of their employment at the firm, encouraging them to feel like part of the Apple family. It is no surprise that engaged employees are fostering customer loyalty, promoting retention and improving organizational performance. The more involved they are, the more likely they are to put in the extra effort. To keep your employees happy and turn your business into a thriving unit, make employee engagement your business imperative. See how little it takes to set off an explosion? By simply concocting a curt email, disregarding the emotions of the recipient, and clicking Send, this kind of communication can become quite the recipe for disaster. Unfortunately, coming across as unprofessional or downright rude in an email (even if you didn’t mean to) is a pretty common problem in the workplace. In contrast to talking in-person or over the phone, email excludes some fairly essential aspects of communication, such as the color and the tone of someone's voice. When we speak, our emotions, authority, and even the degree of our urgency, are conveyed through our voice. Capturing all of these in written form can be tricky, if not impossible at times. Consider the phrase “it’s not what you say, it’s how you say it.” In the absence of an email recipient not hearing your tone and voice, your message is open to way more interpretation. That’s the main reason why/how emails can cause huge blow-ups. When it comes to emails, your wording is vital. If you’re not careful, you can believe that you’re saying something a certain way, while the person on the other end will sense you as being pushy or rude. Something as simple as a short, abrupt sentence can make someone feel like you don’t care enough, or that you’re being disrespectful. Remember that every individual has a different innate sensibility, so a certain etiquette of writing can appear casual to one person, but completely pushy and disrespectful to another. Poorly-written emails can snowball into full-blown conflict among teams, and can even cause customers to stop doing business with you. So how do we manage email etiquette? Here are five simple tips to guide the next words that you type into an email, especially if it’s an important one. 1. Be Direct but not Curt - Beating around the bush to avoid sounding too pushy can come across as patronizing. If something needs to be done, you shouldn't feel reluctant about being direct. On the other hand, intentionally writing curt messages is also quite rude. A curt email shows disrespect and disinterest in the person on the other end. A direct email shows that you trust the person on the other end, and feel free to communicate the gist of things in an efficient manner. 2. Take Your Time - More often than not, messages sent through email tend to sound awkward or downright rude if they've been put together in haste. We’re not talking about the ones that say, “Sure, that location works for me,” or “Hey Jane, wondering if you’re able to join this week’s lunch n’ learn?” We’re referring to the ones that address an important question or issue that has to do with the person themselves. For example, you might want to be extra careful (and take extra time) when writing to an employee who’s having some problems at work, and needs your help. To avoid getting misinterpreted, take your time when writing an email and make sure you've expressed yourself fully before clicking 'send.' It may also help to reread your message once or twice before sending it, as a precautionary measure. 3. Be Polite - All things considered, nothing beats a little politeness. When concocting an email, make sure to start with a greeting, such as a simple 'Hey Jane.' Also, make sure to add a 'please' when making a request. These little bits of kindness can go a long way towards avoiding misinterpretations. No - (in the sense of correcting someone) There’s no use correcting someone’s info via email. If you want to present the recipient with some information that differs from what they said, simply say it without the initial negation. Sorry, but… - Ever received an email that feels like the ‘sorry’ is an excuse? If you’re sorry about something, apologize with sincerity, and admit your wrongdoing. Inserting the word ‘but’ after the ‘sorry’ diminishes the value of the apology. In some cases, it might actually cause the other person to become more upset, because no one wants an insincere or fake apology. Actually - Saying ‘actually’ in an email sounds patronizing. It’s like the other person doesn’t know their stuff, so you need to present them with what’s actually going on. Fine - ‘Fine’ is pretty much a ‘meh’ in written form. Using it will make you seem uninterested and rude. Swear Words - It’s tough to come across as serious and professional when your email is filled with swear words. It doesn’t matter how much rapport you’ve established with the other person, it’s best to err on the side of caution here. If you’d like to see more words that you should avoid when writing emails, check out this article. *Spoiler alert* There’s six more where those five came from, for 11 in total. All of which are very rude, no doubt. 5. Be Empathetic - Always remember that, when you’re writing an email, there is a human recipient on the other end. While maintaining an official tone and a certain degree of etiquette at first is the safest bet for starting off your conversation with someone (especially if they’re new to you), you should always be ready for a more cordial exchange if the other party initiates it. For example, if the person you’re talking to tends to use smiley faces, following suit shows that you mean well and are comfortable with a more casual style of communication. Tactics like this makeup for some of the communication that you lose without facial expressions and hand gestures. Writing an email shouldn't be rocket science. To avoid sounding rude as a person in a leadership position in your business, it’s important to be precise, explain what you want in detail, and reread it before sending. By following these few simple steps, you'll be considered a respectable and kind co-worker. According to some research on the topic of incivility, being respectful towards your employees is considered one of the most important qualities of a leader. If you believe that you are clumsy when it comes to writing emails, getting it right will benefit you in more ways than you’d think. At the end of the day, email is just one form of communication, and there’s no reason why you should restrict yourself to it exclusively when it comes to your business dealings. Sometimes simply picking up the phone and making a call can be a much more effective solution. Also, your colleagues and business partners will see you as more of a three-dimensional character if they see you trying to reach them in various ways. Writing emails is a great alternative to meeting someone or giving them a call. It’s got a connotation of ‘officialness’ and distance to it, so as long as you use it wisely, and are always respectful and kind when you do, you should be able to avoid miscommunication.